I had the first wagon I made apart the other day and thought I would get a few photos of the parts that make it happen. The axles are pretty basic and their parts are available from Home depot, Lowes type stores. The Local Northern tools has a metal section that houses everything I needed for this project. 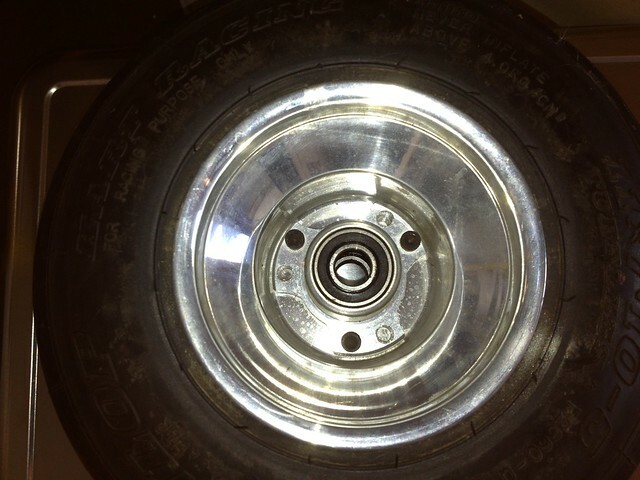 The standard axles are the perfect height for racing kart wheels and tires. You will only need to modify the axle shaft to accommodate the Kart hubs. The Radio flyer standard axle is simply cut out of the old axle assembly and the new 3/4inch tube is welded in place. Remove the steel rod(axle) from the assembly. With it removed, measure and cut the 3/4inch tubing to set your axles width. You will need to cut the length of the tube to match the spacing you want on your back wheels. 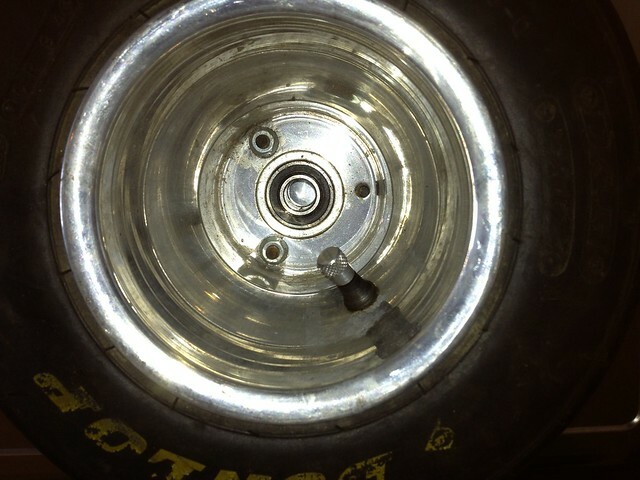 Then take the 5/8th threaded rod and measure the length needed to clear your Kart hubs. To keep the axle from sliding out of the tubing just drill two holes in the tubing on either side. With the threaded rod inserted to the length you need, weld the threaded rod to the tubing. In this pic you can see how the tubing acts to set the spacing of the front or rear wheels. Close up of the finished part. Note tube acting as a spacer to determine track width. Parts list for these custom axles. Stock Radio Flyer axles to modify. Hope this helps and be sure to send in picture of what you build for the new “Cooldaddy’s” section. This entry was posted in Radio flyer wagons and tagged Awesome, Custom, Fabricator, Hand built, hot rod wagon, Kart wheels, Metal fab, Pedal car, Radio flyer wagon, Stroller. Bookmark the permalink. Do you guys recommend ? Not sure what you mean by “both hubs”, but the wide rear tires will require a hub with a small spindle mount on the inside. Just wondering if you would know where I can find rims and tires that would fit the custom axle. I have wheels in stock at my shop. Check out this post and let me know what you need.